Here are the new Licensure Examination for Teacher (LET) Review Materials. 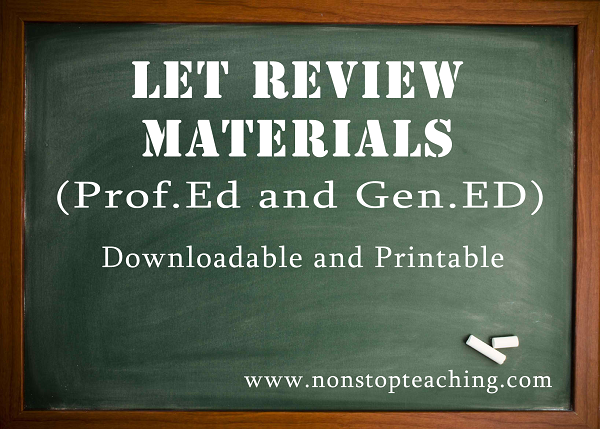 The following LET Reviewers are printable and downloadable available in .docx and .pdf formats. This will help you pass the LET. All reviewers are compiled from various sources. Have a try future teachers. 1. History of Education.pdf - Informative text about the history of education.